Your first decision, should you choose to dine at Wycliff’s, is this – Kenyan menu or Indian? It’ll likely be your second hint that this isn’t your typical restaurant. 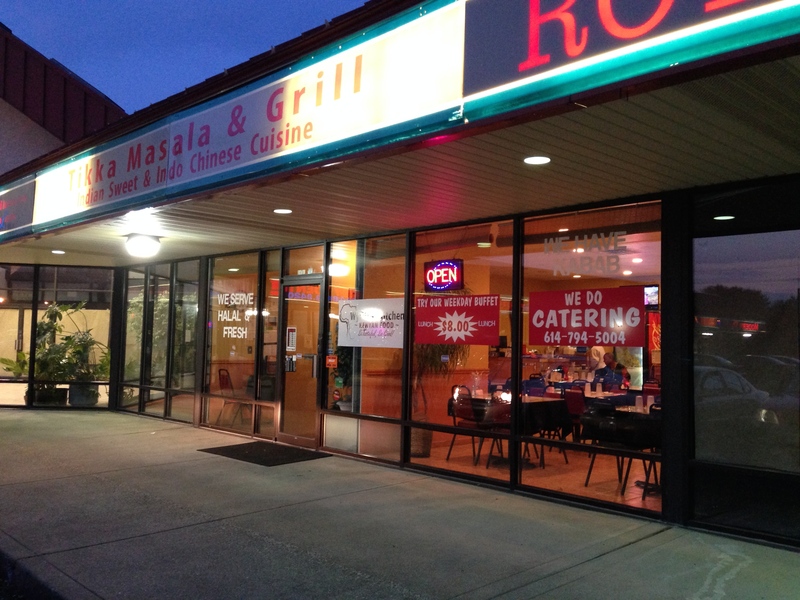 The exterior signage primarily promotes Indian offerings, with Wycliff’s identity relegated to a small window banner, and to the best of our ability to discern the restaurant contains two businesses offering distinct cuisines but operating out of the same kitchen and dining room. We chose the Kenyan menu. I suspect that to do so is to talk with Wycliff, and this is a good thing – he’s gregarious, warm, and informative, and though the truth is over a decade dearer, he doesn’t look a day over 19 years old. As they say, I’ll have what he’s having. As it turns out, that’s often Karanga Mbuzi, or goat stew. It never fails to amaze me how much of the world has some variation on this dish, and while spicing varies, the basic concept is surprisingly consistent – bone-in goat, cut into silver dollar sized pieces, in a thick, rich, and flavorful base. Of course, stewing meat tenderizes it, explaining the popularity of the concept, and few are tenderer than Wycliff’s rendition. The goat’s flavor is pleasantly mild and the saucing is perfectly balanced. When we return, we’ll try new dishes (more on that later), but I suspect we’ll make a point of getting second helping of this. We also tried the Karanga Ng’ombe, a similarly prepared, but bone-free, beef stew. The only problem with this perfectly enjoyable dish was the inevitable comparison with the excellence of the goat. If goat’s just not your thing, then this’ll be a sure bet. Less enjoyable to our group of 4 was the Chapati Madodo. Comprised of peruano beans cooked in coconut milk and served with a flatbread known as chapati, it wanted for at minimum a pinch more salt, at least in comparison to the more memorable version served by the late Taste of Zanzibar. Each of the above entrees comes with your choice of two sides, and standouts included the pilau (seasoned rice with meat), kabeji (cabbage with onions), spinach, and the conspicuously fresh green beans. We’ve said it before and we’ll say it again – African cuisines know how to do vegetables. Among the apps, we’d go for the beef samosa. We also sampled some mango mousse cake even though we didn’t really have room. It was light in texture and very mangoey. Prices are reasonable (entrees with 2 sides cost between $10-$13 for dinner), service is pleasant and attentive, and portions are generous. Wycliff also offers some bargain lunch specials ranging from $6.49-$7.99. Grilled meats and an intriguing mashed potato dish known as mukimo are served on Saturdays. We’ll be back to try them. And to get more goat.